Christina Bendo grew up helping her parents grow food in the red clay rich soil of Virginia. It seems a natural progression that she now works in a craft that uses the same raw materials needed to grow food to make objects used to serve it. After earning her B.A. at the University of Mary Washington, she went on to complete a three year assistantship with Trista Chapman. 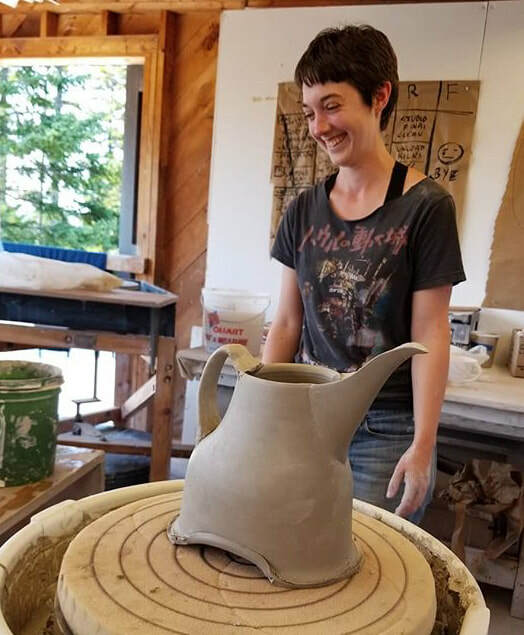 She has been a resident at LibertyTown Arts Workshop, the International Ceramics Studio in Hungary, STARworks Ceramics, and Watershed Center for the Ceramic Arts. Her current body of work uses local clay slips collected from her ramblings to add another physical and symbolic layer to her pots.